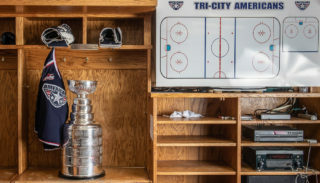 KENNEWICK, WA – The Tri-City Americans Governor/General Manager Bob Tory, in conjunction with Hockey Canada, announced today that four Tri-City Americans prospects have been named to the Team Canada training camp for the 2017 World Under-17 Hockey Challenge. 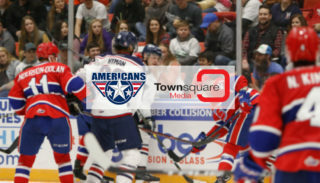 Goaltender Matthew Thiessen, defenseman Seth Bafaro, along with forwards Paycen Bjorklund and Carson Focht were the Americans members selected. 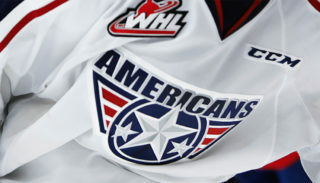 They join 33 other members of the WHL on the 111 player roster. The camp is set for Jul. 26 – Aug. 1 in Calgary, AB. 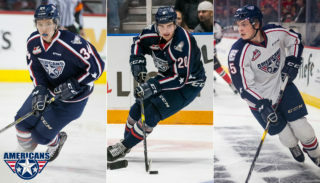 From the camp and their early season, players will be evaluated before 66 are chosen to represent Canada on one of three teams at the 2016 World U-17 Hockey Challenge which is scheduled for Oct. 30 – Nov. 5 in Sault Ste. Marie, ON.